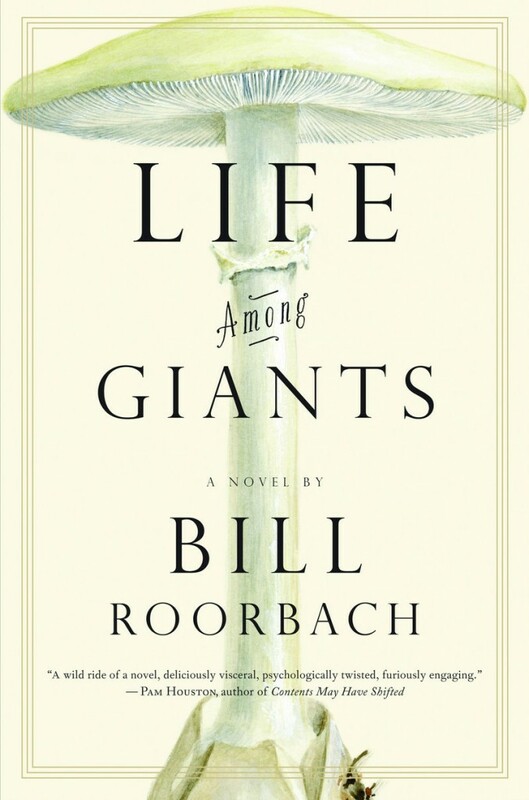 FARMINGTON – Bill Roorbach calls his novel “Life Among Giants” his Big Book. That’s capital B, capital B, the one that moves his career from successful writer to superstar. On the cusp of 60 and with a half-dozen books and prestigious awards and fellowships to his name, Roorbach thinks he’s finally found his artistic stride after decades of trying to balance writing and teaching. Fully retired from academics, he’s ready to become the writer he’s always known he could be, full of confidence and ambition. Gatsbian in its scope, “Life Among Giants” stars “Lizard” Hochmeyer as a young football stud from Fairfield County, Connecticut, who excels at Princeton and goes on to minor fame with the Miami Dolphins as Bob Griese’s back-up. There’s also a mysterious ballerina and her rock-star husband, who live a row-boat ride across the pond from the 6-foot-8 and very buff Lizard. There are a mad older sister, gay chefs and shady businessmen. Grand characters all, tangled and bound in all manner of misdeeds and mythical scenes and affairs. The book represents a lifetime of imaginations for Roorbach, and includes many biographical nods: His life growing up in New Canaan, Conn.; an older-brother star athlete; the years he made his living playing keyboard and singing in a rock band in New York; and a broken heart, delivered by a beguiling ballerina during those New York days. But most of all, it satisfies the author’s near-lifelong fascination with F. Scott Fitzgerald’s Nick Carraway, the narrator of Fitzgerald’s “The Great Gatsby.” Roorbach has always wanted to write a book with a Carraway-inspired figure in the lead. Lizard is the perfect modern Carraway. “Life Among Giants” has kept Roorbach busy. It was an Amazon Pick of the Month in November, and the author has traveled coast to coast since then, pausing only for the holidays. The publication date for the paperback has been moved up to summer, said his editor at Algonquin, Kathy Poires. Additionally, a premier cable channel has expressed interest in turning the characters from “Life Among Giants” into a series, but further details were unavailable at press time. As the title suggests, Roorbach made his characters big when he made them, and did his research by reading “a ton of dance histories” and rock biographies of Bob Dylan, Keith Richards and Rod Stewart. He modeled his rock star after Mick Jagger. The football star-turned-restaurateur could be any millionaire athlete of today. And Sylphide, the sweet ballerina with a cute foreign accent and perfect figure, is so real you’ll Google her. It took Roorbach four years to write the book, spending long hours in a former sugaring house that he converted into a writing studio when his daughter, now 12 and also a dancer, was born. The book tapped a vein of creative energy. Roorbach feels ready to let the artistic juices flow. “There’s going to be a series of really great books,” he promised. 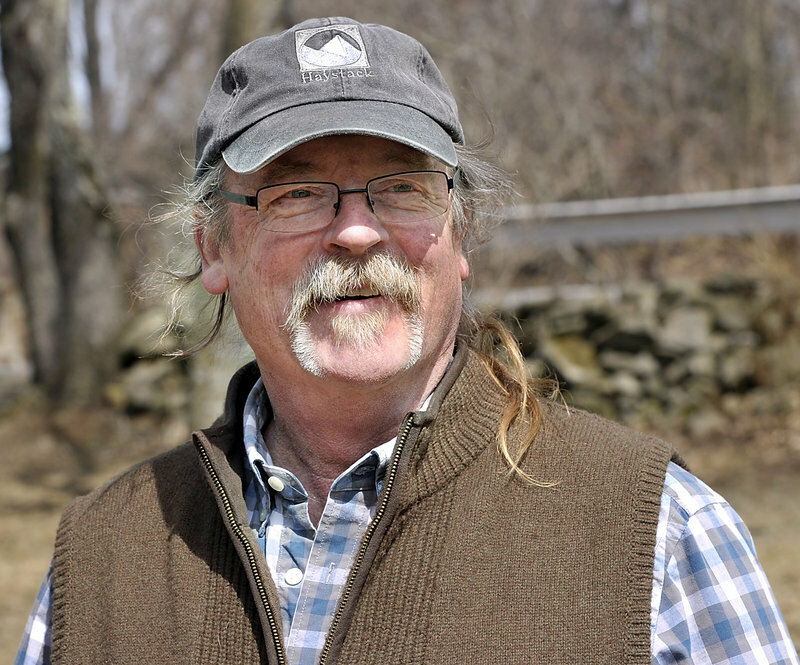 Roorbach has lived in Maine for more than two decades. He and his wife, Juliet, came here in the early 1990s so he could teach at the University of Maine at Farmington. He loved the job, but stayed only four years. In 1995, Ohio State University hired him away. It wasn’t a mistake to go to Ohio; Roorbach thrived there and had a great job. But the couple missed Maine. They always knew they would come back, and kept their farmhouse in Farmington for that day. It came in 2000, when Elysia was born. They wanted to raise their child in Maine, so in 2001, Roorbach quit his tenured position at Ohio State and moved back to Maine to live full-time. For a while, he commuted to Worcester, Mass., to teach at Holy Cross. Then in 2009, he gave up teaching for good to concentrate on writing and country life. Roorbach has 16 chickens, and surrounding farms are populated by bison and sheep. He cross-country skies all winter long, and has an unfiltered view of Derby Mountain off the back of his property. His sugaring house-turned-writing studio is modest in size and pretense. He apologizes for the “classic Maine siding” of Typar house wrap. “I’ll get to it soon,” he muses. A few days before this interview, a skunk let loose below the studio. Roorbach hoped it wasn’t a metaphor for things to come. That’s not likely, said Poires, who has just received an early version of Roorbach’s next book, another novel. “There is just such exuberance in the way he writes and the characters he creates. He has a very personal style,” she said. “His sentences have a different rhythm to them than I am used to. Roorbach feels grateful that so many people are interested in his book. At stops all along the way, he has read for and talked to people who know “Life Among Giants,” who have read it cover to cover and asked tough questions. In Miami, a Dolphins fan challenged Roorbach’s characterization of Coach Shula. Equally gratifying, the success of “Life Among Giants” has led readers into Roorbach’s back catalog, to his nonfiction titles, “Summers with Juliet” and “Temple Stream: A Rural Odyssey,” and to his only other novel, “The Smallest Color,” from 2001. After he turned “Life Among Giants” over to Algonquin in 2010, he went quickly back to the sugar shack to get going on the next project. He found this one easier to write, and satisfying on a different level. Whereas “Life Among Giants” required a lot of work — a lifetime of work, really — this one came much more easily. He figures he’s maybe just a late bloomer. He spent his 20s in a band, and didn’t get serious about writing until he enrolled in graduate school at Columbia University when he was 33. But he never gave up his goals or dreams, even when he felt the pressure of society “to do something more conventional,” he said.